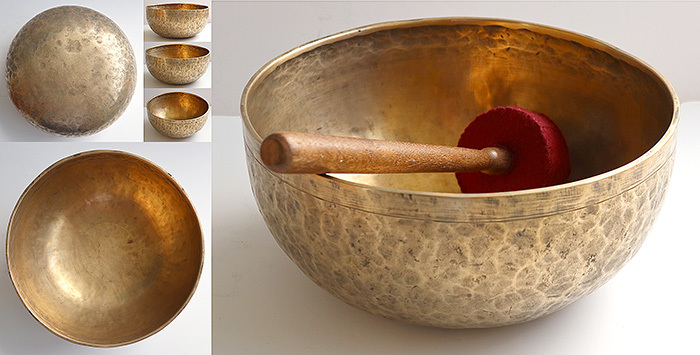 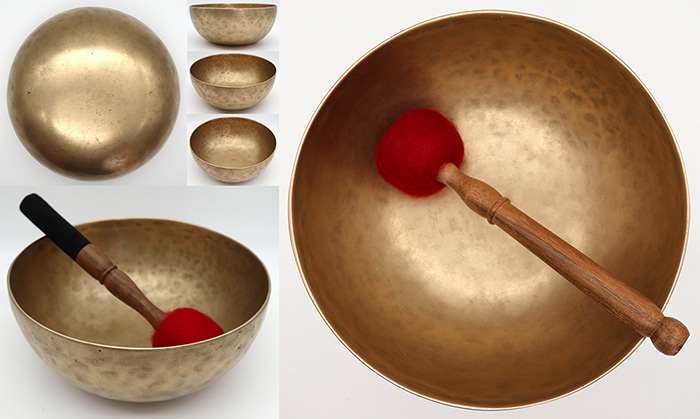 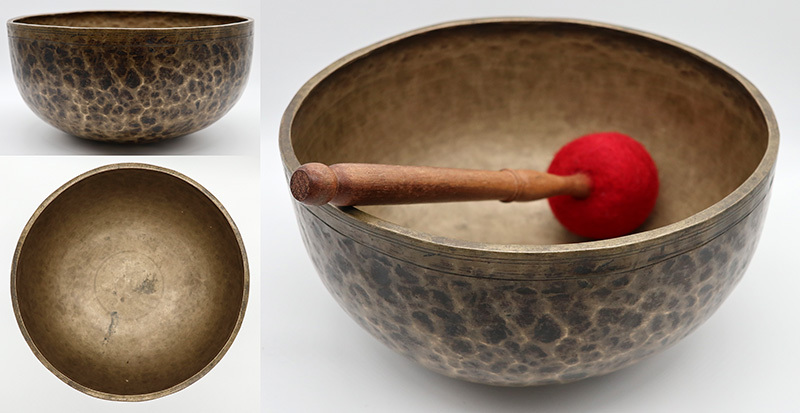 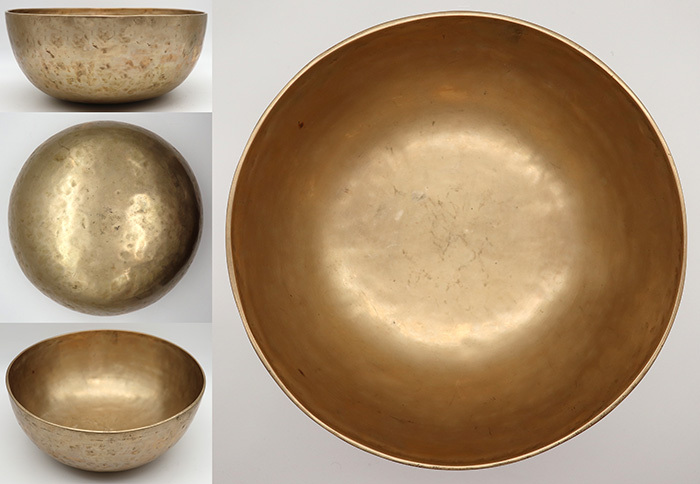 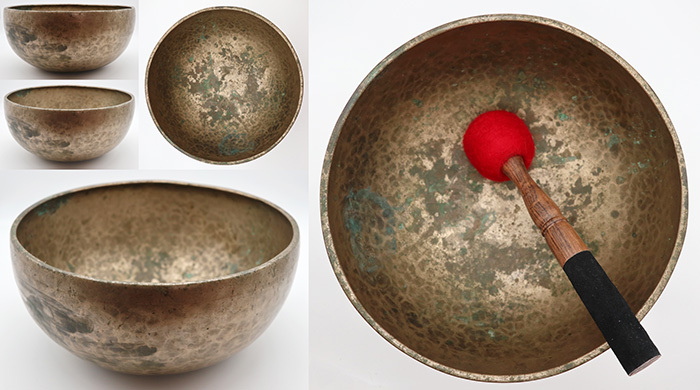 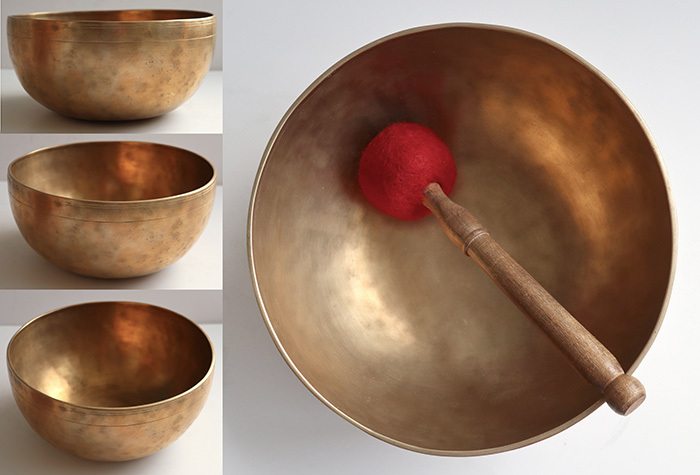 Jambati Singing Bowls are the largest and heaviest of the singing bowl family, and arguably the most beautiful. 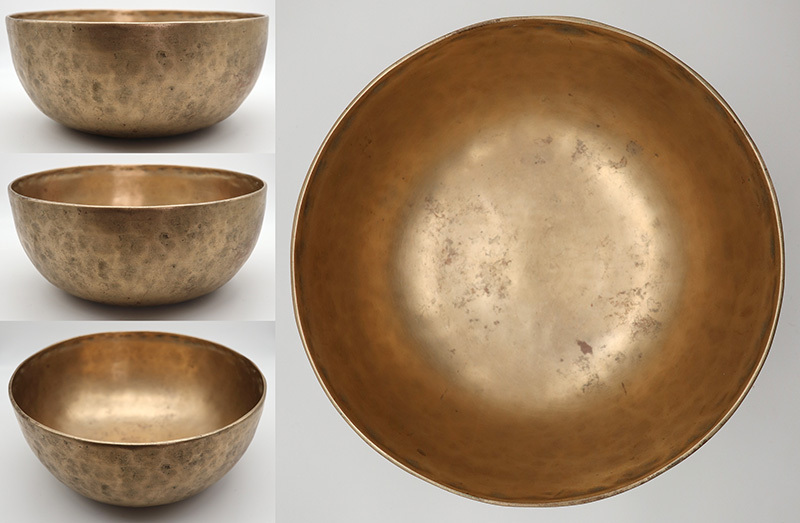 These stunning singing bowls are characterized by quite high and gracefully curved walls, a small flat bottom, and typically a generous triangulated inward-facing lip that may be plain or grooved. 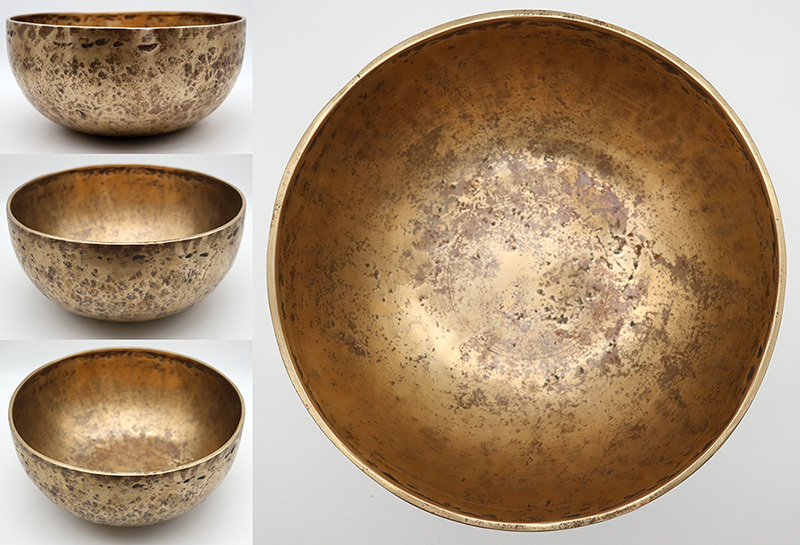 Decoration is minimal and usually confined to a few simple incised lines forming a band or collar close to the outer rim, and several incised concentric circles radiating from the centre of the basin. 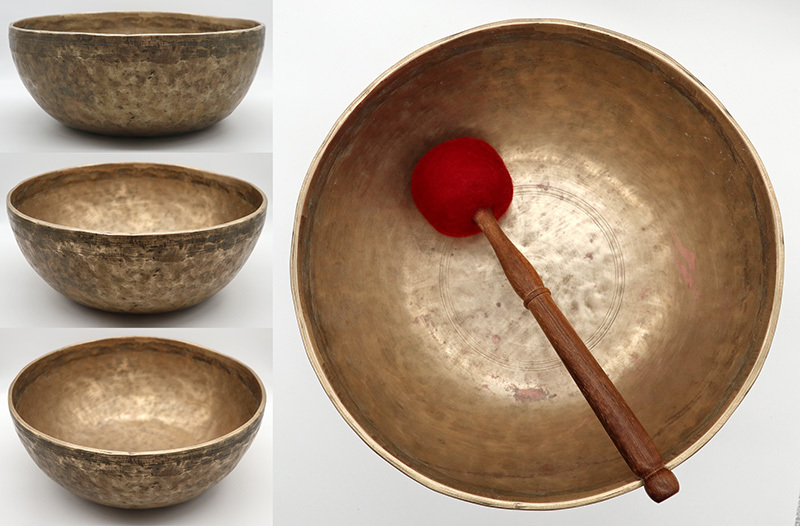 Click here for more information about antique Jambati Singing Bowls.